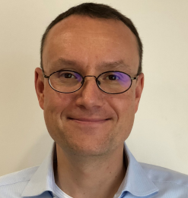 Petr took over the reins from Stefan Palskog, who also served on the Board of the Chamber, in September 2018 as the new MD of Scania India Commercial Vehicles Private Limited. He has been with the company for many years and joins the Indian team after serving long stints in Scania South Africa and Germany. Petr is based out of Scania’s Narsapura, Bangalore office.